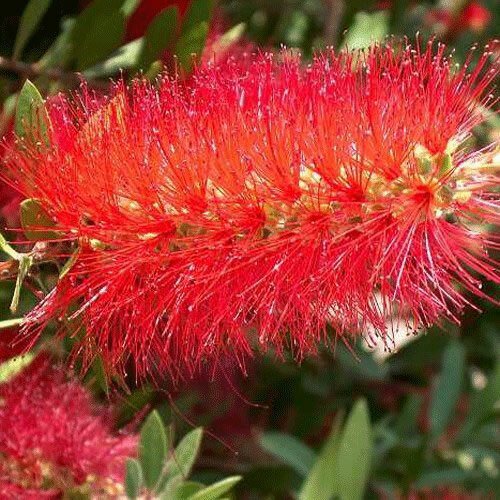 Stiff Bottlebrush. Bushy stiff-stemmed shrub with narrow, dark green leaves. Bears deep red bottlebrush-like flowers. Height: 2m. Spread: 2m. Flower colour: Red. Flowers from April to August. Evergreen. Foliage colour: Green.